People love wearing these soft t-shirts with a cool design. Join the club! 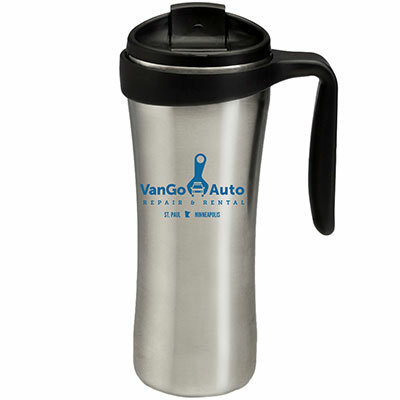 How about a VanGo mug carrying your hot or cold beverage? Get your quality 16 oz stainless steel VanGo travel mugs with inner and outer liners, a sturdy rubber handle, and a twist locking cap with spill guard. 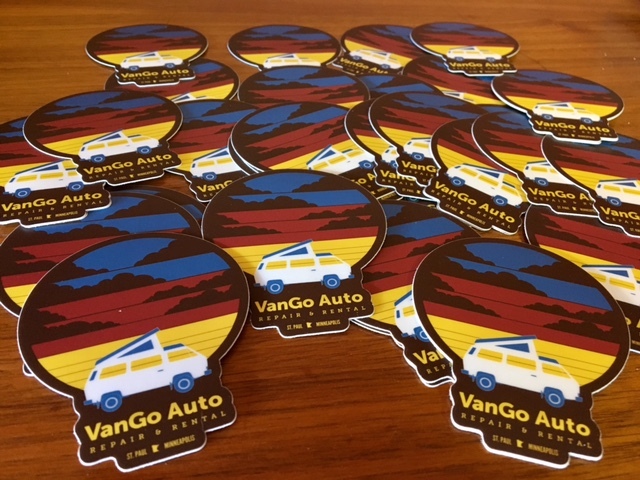 So many options where to rock this cool sticker – a car, van, computer, water bottle, etc. Add a little retro love to your life for close to nothing ($2.50 per sticker). 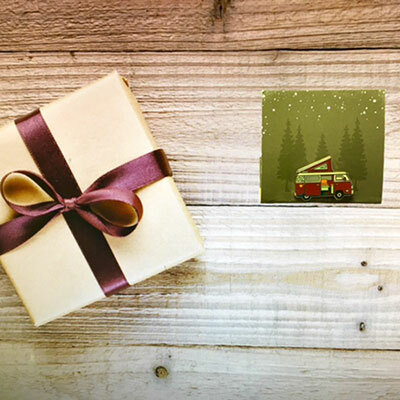 Treat a friend or family member to a new experience and adventure versus just gifting more stuff/things. 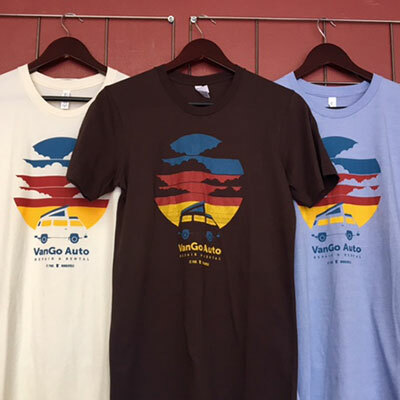 Whatever the special occasion, gift a classic Volkswagen Vanagon camper trip that sleeps up to four campers and includes sleep, kitchen, camp gear for two campers (additional camp gear is available). There are 3-night rental minimums for use, although you may gift one or more of those nights through this option. You will receive two emails after your purchase – an immediate payment receipt email and a gift certificate email later.